Today I discovered the glory of a poached egg. 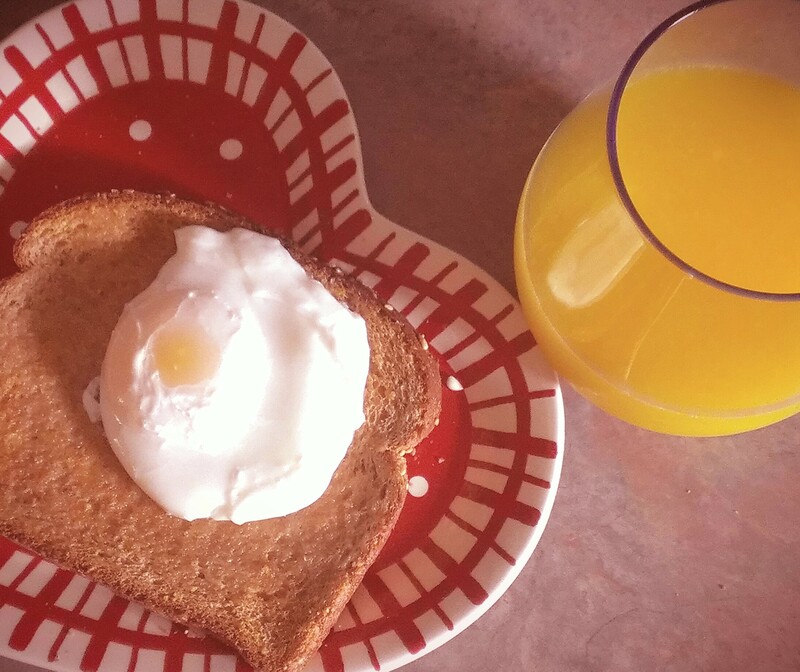 Well, that’s to say I made one for the first time… I have already enjoyed poached eggs are numerous ocassions. But to say that I made one on my first attempt and it turned out pretty darn good feels amazing! I wouldn’t consider myself a cook, per se, but I do enjoy cooking at times. So my first step was to google a quick how-to for poaching an egg and I came up with some easy directions. The directions mentioned adding a small amount of vinegar to help the egg white congeal better. I used apple cider vinegar because that’s what I had on hand. I then cracked the egg onto a small plate and slid the egg carefully into the just-under-boiled water and waited the four minutes and voila! Out came a poached egg! Simple as that. And healthy, too, since there is no oil or butter to cook the egg in. The lil beauty ended up atop a piece of whole grain toast and was accompanied with a glass of fresh squeezed oj (courtesy of Bearss Groves Market). Perfect way to end my day! And yes, I do love breakfast for dinner! Next time I will have to add some veggies to give it that extra something. I foresee this becoming a frequent meal in my future. What’s your favorite way to eat your poached egg?